Power outage? What power outage? Yu Chang further dispelled concerns that he lost his power stroke as he homered, drove in two runs and scored twice in Glendale's 5-3 Arizona Fall League loss to Scottsdale on Saturday at Scottsdale Stadium. 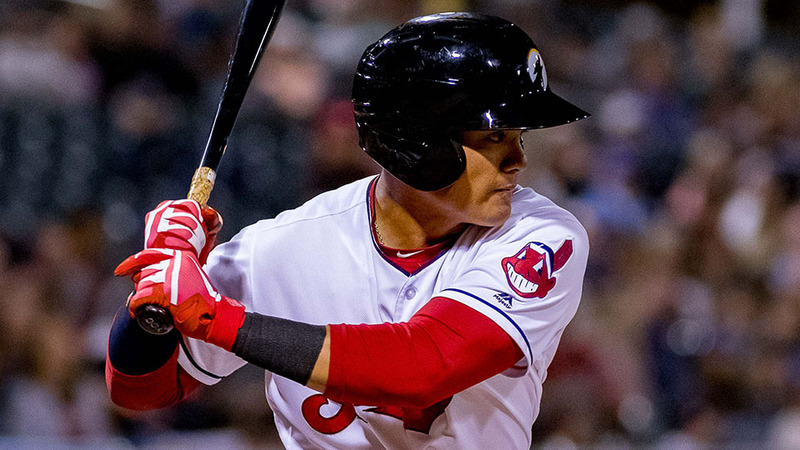 The sixth-ranked Indians prospect opened eyes after clubbing 24 homers for Double-A Akron in 2017, but that total dropped to 13 this season with Triple-A Columbus. However, Chang has four dingers in the AFL -- tied for second in the league -- and raised his batting to .346 with 16 RBIs and 15 runs scored in 21 games with the Desert Dogs. The 23-year-old led off the second inning with line drive single to left field on a 1-1 pitch from Reds right-hander Austin Orewiler. Chang scored Glendale's first run two batters later when Orioles catcher Martin Cervenka grounded into a double play. In the fourth, Chang faced Orewiler again and plated a run with a grounder to first base. Chang led off the seventh and crushed a 1-0 fastball from Mets righty Matt Blackham well beyond the fence in right-center before grounding out to end the game against Giants right-hander Sam Wolff. Jared Robinson (Indians), Jay Flaa (Orioles), Kyle Zurak (Yankees), Tyler Erwin (Orioles) and Nolan Long (Dodgers) combined to toss five innings of scoreless relief for the Desert Dogs. Abraham Toro led the Scorpions offense, going 2-for-4 with a two-run dinger and two runs scored. The 21st-ranked Astros prospect raised his AFL average to .328. Phillies first baseman Darick Hall chipped in two hits, a walk and an RBI for Scottsdale.